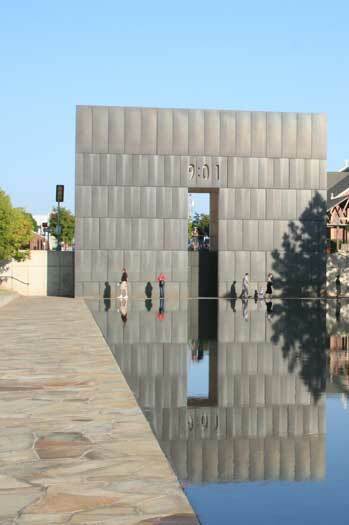 “Memorials are transitional spaces, which can reduce post-traumatic stress disorder,” said Martin Holland, a professor of landscape architecture at Clemson University, at the Environmental Design Research Association (EDRA) conference in Los Angeles. 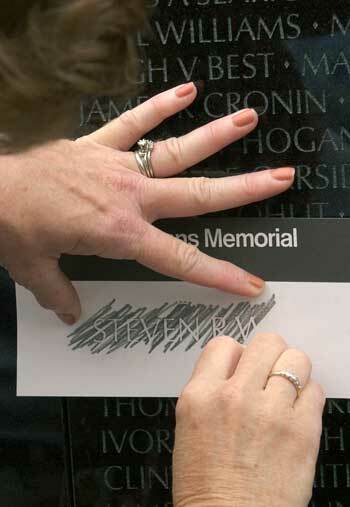 “They are holding environments where people can approach, touch, and see losses in a secure setting.” Using two examples — the Vietnam Veterans Memorial in Washington, D.C. and the Oklahoma City National Memorial and Museum in Oklahoma City, Oklahoma — Holland showed how touch is used as a design strategy to commemorate loss. 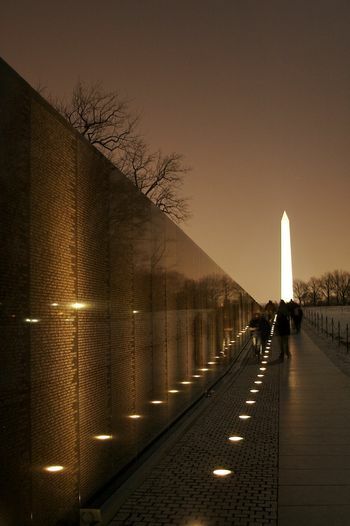 The Vietnam Veterans Memorial, which opened in 1982, was designed by architect Maya Lin who won the national design competition. It consists of a long black granite wall in an open V shape. 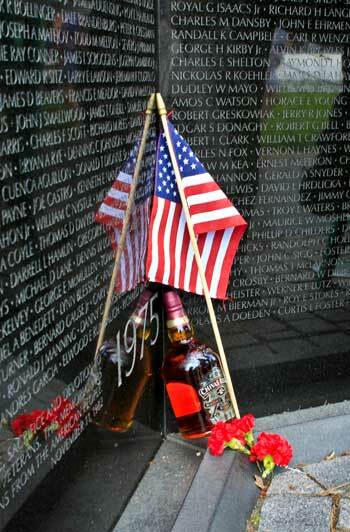 The wall is a timeline, with the 58,300 dead listed in chronological, not alphabetical order. This enabled a “social ordering of the space,” so visitors could find the name of their loved ones by the year of the conflict. “Material culture is also used to express grief.” People leave flowers, teddy bears, and other objects to commemorate their loved ones. Flowers are often inserted in the wall itself. “It’s a palimpsest that changes as people engage with it.” All the left objects are periodically swept from the site and archived. One of the few trees that survived the blast now has a honored place in the memorial, where it has thrived. 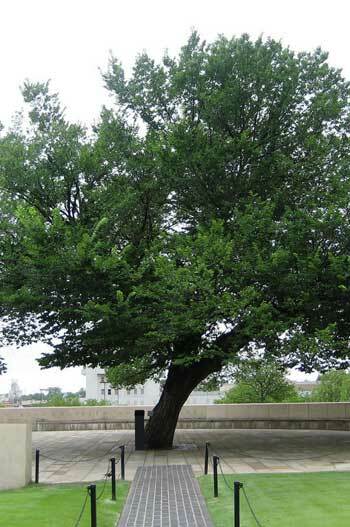 The space around the tree is a major gathering space because it’s the “only place with shade.” Nearby in the memorial, in a place enshrouded in trees, is where Timothy McVeigh parked his bomb-laden car. Holland said this was another example of turning the horrific into the healing. 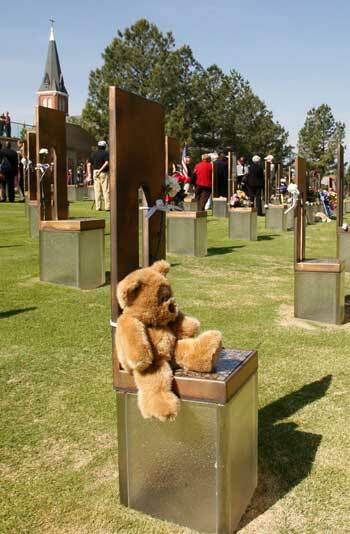 Each of the 168 victims is memorialized in a chair, which glow from within at night. The chairs for the children victims are smaller. After the official ceremony that opened the park in 2000, victims’ loved ones began decorating the chairs, leaving photographs and mementos. What is particularly sad is the “adults remember the children always as children,” but there are no photographs of them, for some reason, only toys. Like the Vietnam Veterans Memorial, all non-perishable materials are periodically collected and archived, which then becomes available for viewing at the museum, except some of the excess teddy bears left at the memorial have been sent overseas to kids in need. The chairs and the process of leaving mementos are another touch experience that help visitors deal with loss. Previous Article Is There a Difference Between Sacred and Beautiful?